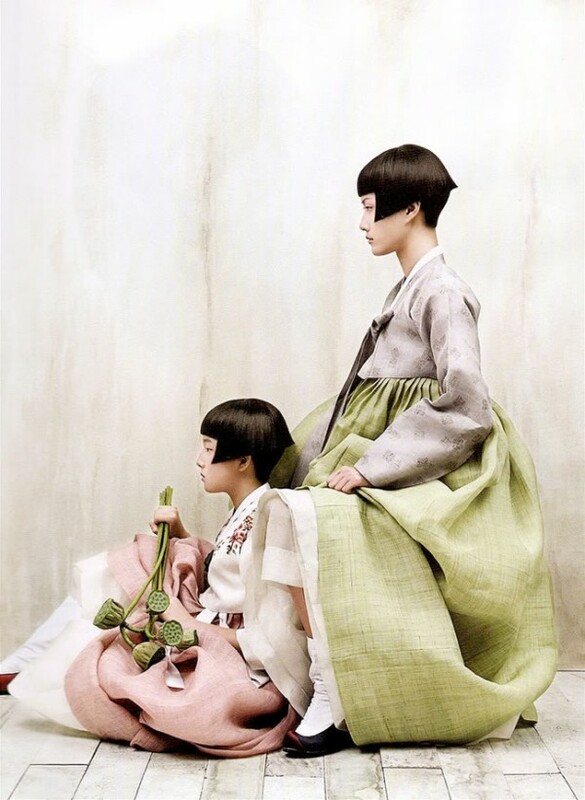 I came across this beautiful editorial photographed by Kim Kyung Soo for Korean Voguesometime last year and I just had to share. 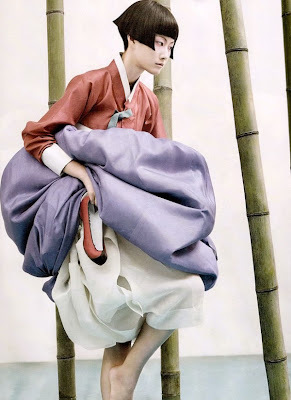 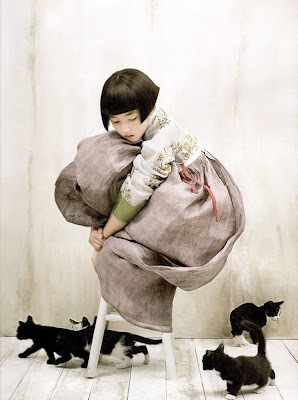 The editorial is such a rich and definitely somewhat glamorized depiction of the traditional Korean dress. I love the geometric hairstyles juxtaposed with the voluminous dresses.